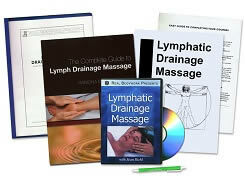 Already own the DVD Lymphatic Drainage Massage? Call us at 1-800-364-5722, 9am to 5pm, to discuss your enrollment options. Identify and explain the structure and function of the lymphatic system. Identify and categorize the locations of the lymph nodes and drainage patterns and state their functions. Discuss how lymph gets into the bloodstream and demonstrate and understanding of the deep lymph pathways of the abdomen. Outline the stages of edema and causes; identify two types of edema. Summarize and be able to give examples of contraindications of lymph massage. 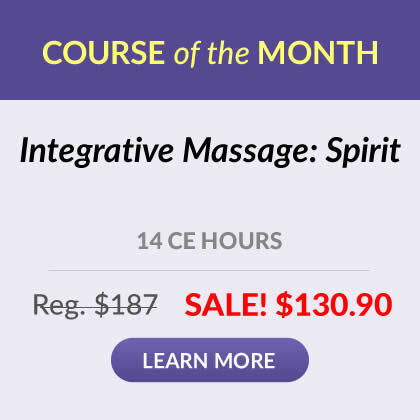 Discuss the indications for lymph massage. Understand and utilize the basic techniques for lymph drainage massage to the face, neck, arm, upper torso, abdomen, leg, and lower torso. 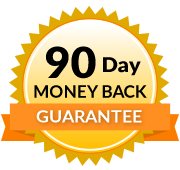 Understand and demonstrate a self treatment to the face and neck.